The Münchner Verkehrsgesellschaft (MVG), responsible for Munich’s public transport, received its first Siemens Avenio ‘double tram’ today. A double tram comprises of two vehicles, a 2-car and a 3-car Avenio tram. Last night two Avenio trams, numbered 2701 (2-car) and 2751 (3-car), arrived on low-loaders from Siemens’ testing and validation center in Wegberg-Wildenrath, where the units were tested extensively. 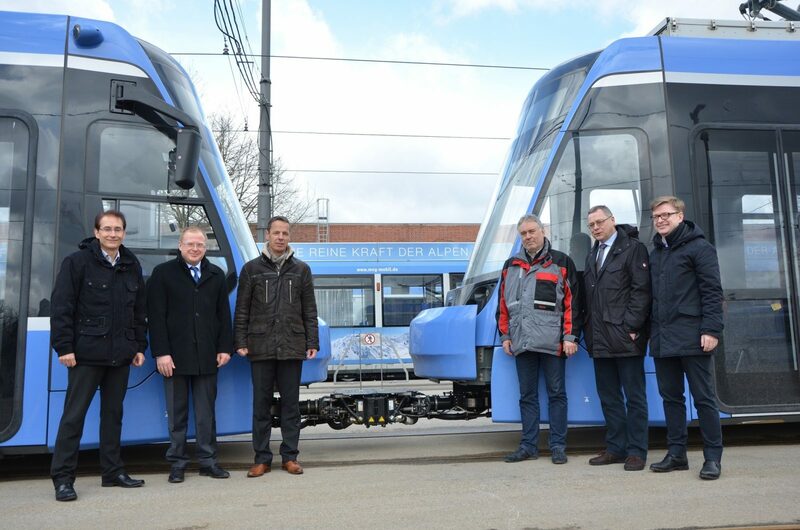 Together a 2-car and a 3-car unit will form a 48-meter-long XXL ‘double traction tram’. 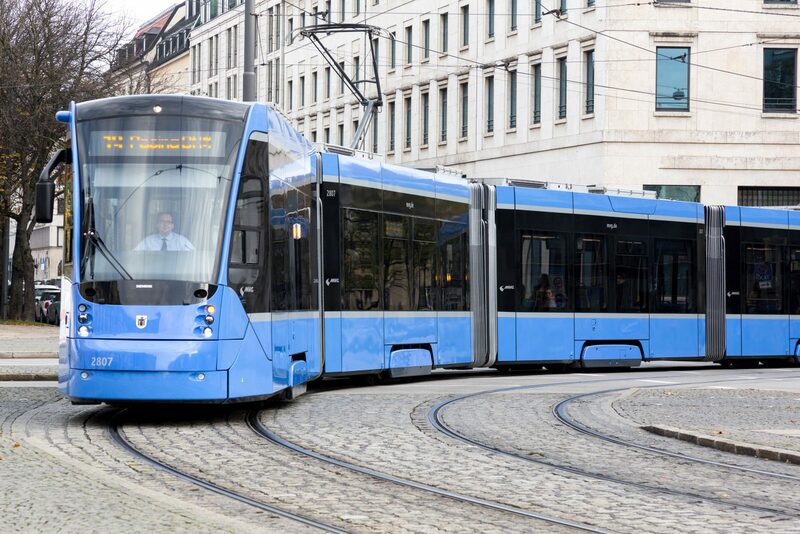 In September 2015 Stadtwerke München (SWM – Munich’s Municipal Authority) signed a € 70 million contract with Siemens for 22 Avenio trams for its subsidiary MVG. The order comprises of nine 2-car, nine 3-car and four 4-car trams. Under this contract SWM can decide to order 124 more units. The 48-meter-long XXL double traction trams provide a maximum capacity of 260 passengers. This is 40 passenger more than the largest Munich trams to date. The XXLs will initially be used on the high-demand axis of the Dachauer Straße, especially on tram line 20. 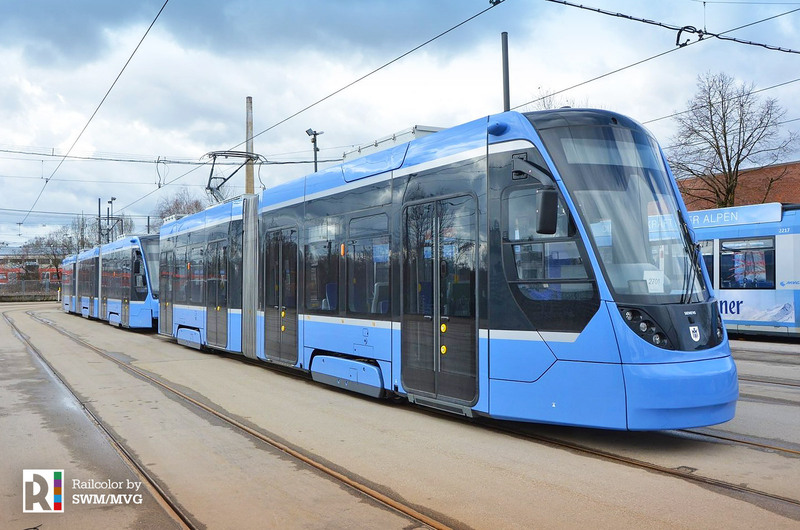 On a German rail forum the 2-car Avenio tram has been nicknamed ‘Avenino’. The four new 4-car Avenio trams differ from the eight Avenio trams that are in operation since 2014. Like its shorter versions it has a different, more rounded exterior design and are its fronts prepared for the installation of automatic couplings. These have been in Munich since late December 2017 and are currently undergoing the necessary commissioning and approval process. The new trams will enter operations during 2018 and will further increase the space available to customers.